Local watermelon. 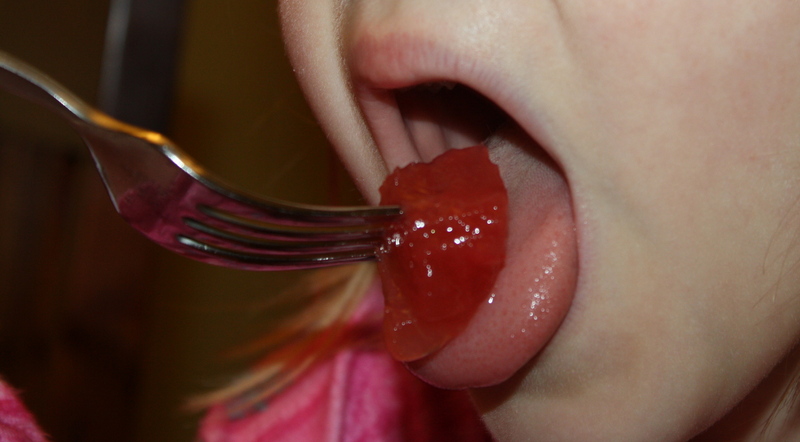 As strange as that may sound, yes, for dinner last night we feasted on local watermelon we put by way back in early September, and let me tell you…It was delicious! After reading Animal, Vegetable, Miracle several years ago, I longed for the days of “looking at all [those] jars in the pantry [giving] me a happy, connected feeling, as if I had roots growing right through the soles of my shoes into the dirt” that Barbara Kingsolver so eloquently describes in her amazing piece of writing. And today, many years later, I truly believe I can confidently make that statement with my head held high. We have established food security for our family. Our dinner last night was a reminder of this. With a lovely beef roast from a local grass-fed cow that was processed in October; green beans hand-picked by two adorable Fagan gals, bread and butter pickles made with cucumbers from one of my favorite farmers, pickled beets featuring the dazzling brilliancy of the Chioggia beets pulled from our very own dirt in the backyard, and who could forget that locally grown watermelon frozen in a bit of water and local honey. Every element on our plate last night came from a place I know and from people whom I trust. All of those hours spent hovering over the hot stove, in the sweltering heat of this past summer, seemed worth it when all I had to do was head to my basement last night, grab some meat and veggies from our freezer and a few jars off the pantry shelf. Since beginning our journey toward sustainability, I am filled with an extreme sense of gratitude that I never thought possible. It seeps into every one of my pores and I can feel it in every fiber of my being. The Earth has provided us with so much, and by harnessing these gifts in a conscientious manner, we have been able to provide food for our family, even in the dead of winter. God is good. This entry was posted in Holistic Living, Putting Food By, Sustainable Living and tagged Animal Vegetable Miracle, backyard, Barbara Kingsolver, canning, cooking, DIY, eco friendly, farmer, farmer's market, food, food preservation, freezing, garden, gardening, gardens, growing, harvest, holistic, holistic living, home, homemade, homemaker, homemaking, kids, make, making, mama, mindfulness, mom, mother, organic, preservation, putting food by, sustainable, sustainable living. Bookmark the permalink. 2 Responses to What do you eat in February? I wanted to know if you could recommend a good resource for the best way to preserve different types of food–what to freeze vs. can, etc? 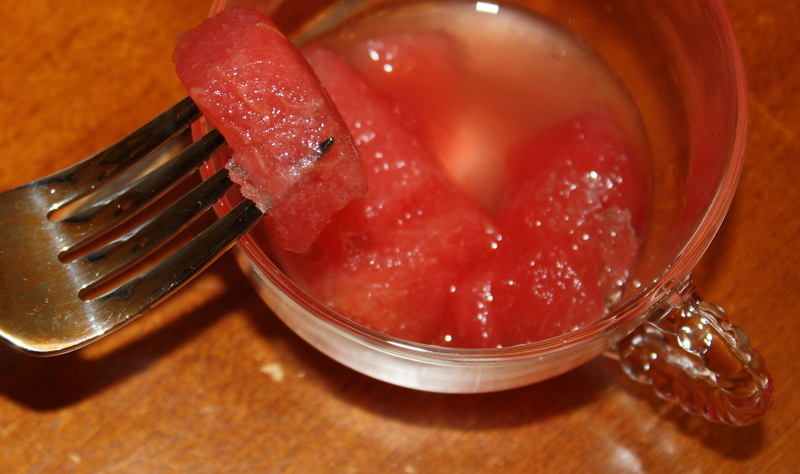 I would never know that watermelon could freeze well with a little water and honey! How great! I love the blog! Keep up the great work! Thanks so much! A local farmer at Rockford’s City Market actually told me the trick with the watermelon…I know…who knew? 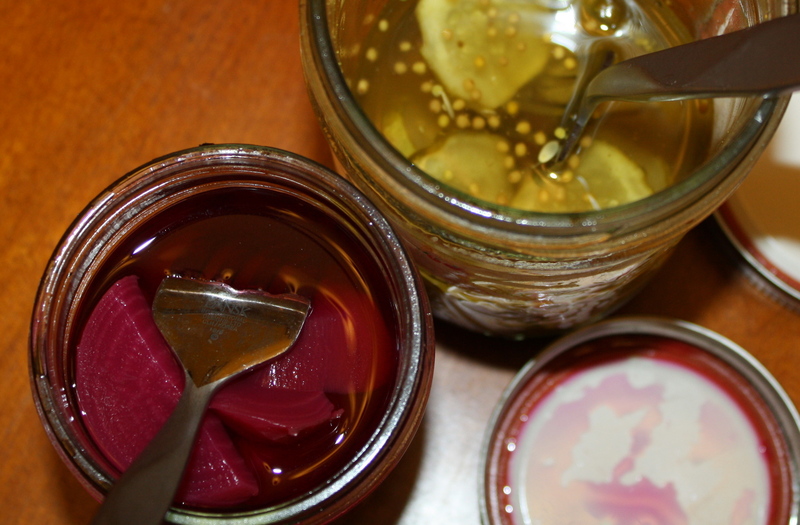 🙂 I don’t have a pressure canner, so everything I can is either pickled or has some type of vinegar-base. Some great resources I use are Putting Food By by Janet Greene, Canning and Preserving by Ashley English, and Preserving the Harvest by Carol Costenbader. I also talk a lot with the vendors at market for their tips on how to preserve the produce they are selling…They are normally wonderful resources! I hope all is going well! It is wonderful hearing from you!